OUR GOAL ... has always been to give customers outstanding attention to detail from the beginning to the end. Our work and our customers are our best advertisement. OUR PHILOSOPHY Quality work for a fair price. Your ultimate happiness is our measure of success. That's our job and we take it seriously. OUR PERFORMANCE While completing projects with the highest quality of materials and craftsmanship to last a lifetime, we also strive to be cost-conscious and competitive with our pricing. We like to help our customers realize their dreams for a comfortable and creative environment. It's part of our name for that reason. If you have no idea what you want, we can help. If you know what you want we can help you put that down on paper so that those ideas are conveyed to the people that will make it a reality. If you already have plans and specifications, we will give you a quote for a fair price. We don't rush through this process. Our goal is to give you a thorough estimate based on a thorough set of plans and specifications. We live by the saying "It's better to make your mistakes on paper" than it is to waste time and money building something that doesn't meet your expectations. H.S. 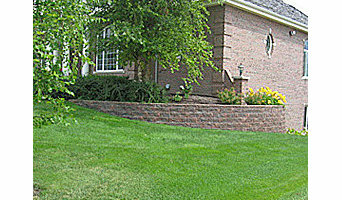 Remodeling of Pewaukee, WI has been offering home improvements to the southeast Wisconsin community since 1955. H.S. Remodeling specializes in home improvements including new kitchens and bathrooms, flooring, doors and windows, finish carpentry, plastering, drywall and more. Here at H.S. Remodeling we do: Interior Remodeling - New kitchens and baths, flooring, painting, plastering and more Exterior Remodeling - Additions, decks, siding, doors and windows, sunrooms, porches and more Call today for a free estimate on home improvements. Anthony Vincent Construction is a "one stop shop" for all your construction projects from the ground up! From the first spark of an idea to completion of your desired project, we are there all the way through to help you. We are full service providing not only work but design services and help with choices in material. 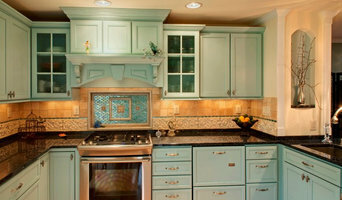 We are a professional home remodeling company with over 20 years of experience. We are a full service intererior and exterior remodeler offering quality products, exceptional workmanship, and superior customer service. We take great pride in transforming your project into reality, on budget, and on time. We urge you to consider taking advantage of any available tax credits for your remodeling project. Ask us how we can help! Specialties MMP Building and Remodeling is a residential and commercial contractor with wide spectrum of services that we offer to our customer. We own remodeling show room with wide selection of flooring, wall covering, fixtures and cabinets for our customers History Established in 2006. The company was was established n 2006 and since that time it grew tremendously. We service Milwaukee and all surrounding areas. We have established show room that is located in Menomonee Falls where we have wide variety of the building materials displayed for our customers. We provide with design services as well as project management services for our clients. Your kitchen or bathroom makeover won't be complete until you update the cabinets and countertops of those rooms. Let the experienced design consultants at Kitchen & Home Design help you select the ideal pieces to complete your dream kitchen or bathroom remodel. As a full-service kitchen and bathroom design center, you can depend on us to provide you with custom designs, a unique selection of products, affordable prices and unparalleled customer service. Stop by our new showroom or give us a call and set up an appointment. At JVL Solid Surface Solutions, we believe that our customers deserve a better experience than other companies deliver. Our customers are the CENTER OF OUR UNIVERSE and we've crafted our business, built our team, and stake our name on delivering the absolute BEST in quality and service every day of the year. JVL Solid Surface Solutions is an American-owned, family-oriented business. Our mission is the desire to deliver an exceptional experience in an industry that has historically delivered too little, too late, and often times wrong. Since our infancy, we've been creating gorgeous kitchens and baths and building a base of raving fans. JVL Solid Surface Solutions takes great pride in the fabrication of our products. Since our customers are the center of our universe, we spare no expense in being the best when it comes to quality, craftsmanship, and service. At JVL Solid Surface Solutions, we understand that the home improvement decisions you make in the next few weeks will become an integral part of your lifestyle for many years to come. The home improvement journey will be exciting, frustrating, and ultimately, very rewarding. Move forward with an open mind and a positive outlook. As you begin your long anticipated home improvement project, strive to find a balance of style and function; cost and compromise. My name is Randal. My company is a small, personal construction business. I am the one that will come out for an estimate and do most of the work. I'm on site 100% of the time. If I need to bring another worker in, I stay on the work site to make sure everything gets done. I don't cherry pick jobs, and I only do one job at a time. I give you 100% of my attention. Once you are on my schedule, you stay there. The Solid Designs name has been recognized since 2004. Over the years Solid Designs has been transformed into a design center with focus on quality and fine detail, serving a network of clients both in Illinois and Wisconsin. Affordable Interiors will work with you to make sure we’ve got all the bases covered for your remodeling project. Our remodeling process includes: • An initial consultation in our showroom, where we’ll talk with you one-on-one to discuss your vision for what you’d like your home to look like. This is a good time for you get to know us by taking a look at our past projects and designs, while we get to know you by taking a look at photos of the areas of your home we’ll be working with. • A second appointment in your home where we’ll gather more information, take measurements and start to assemble design and selection ideas working toward a proposal. This stage typically requires a design fee. • Additional appointments as needed in order for us to make sure we’re both on the same page through recommendations, drawings and other options. • A final proposal that includes designs and materials to be used, where contracts are signed, deposits are made and we start gearing up for construction Once we start the actual remodeling, we will make ourselves available to you so we can immediately take care of any concerns and answer any questions you might have. Affordable interiors will be at your service throughout the entire remodeling process. Our Support Team is Your Support Team For every remodeling project we perform, we make sure we have a qualified team of skilled and licensed craftsmen and technicians involved in the remodeling process. You can rest assured we’ll do everything possible to make sure we complete your design and remodeling job on schedule so you can start enjoying your new space as soon as possible. You’ll also be glad to know our craftsmen, technicians and services are fully insured for your protection as well as ours. At Woodworks, we believe that a reputation as honest and reliable is a recipe for success. There is not a better way to grow than by reputation. We believe that a good reputation and consistent service will reap bigger rewards in the long run. Woodworks is committed to using only the highest quality products for our projects. At Woodworks, we believe that good communication is the key to any project. From the first call, through the design process, and installation, we want you involved so that your project will create the impression that you desire. 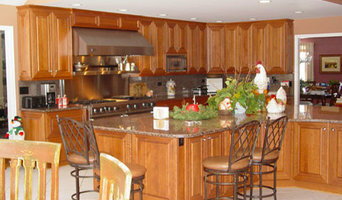 Woodworks is committed to using only the highest quality products for our projects. Our fully custom cabinetry includes solid wood doors, full extension undermount drawer glides, concealed hinges, dovetailed drawers, all doors and drawers include a soft close feature, and solid plywood boxes. 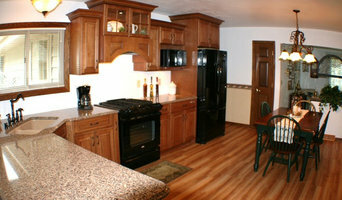 Refacing your existing cabinetry is also available. It is generally less expensive and causes less interruption. The process includes refacing the surfaces with real wood veneer, installing new doors with concealed hinges and drawer fronts. We can also install new dovetailed, full extension drawer boxes. Accessories such as pull-out shelves and recycling containers can be added.